Recently, DC Comics released a teaser image of David Finch’s new Wonder Woman costume which will debut in Wonder Woman #41 in June. The new costume will be another attempt at updating Wonder Woman’s look from the iconic “Linda Carter” costume that fans are familiar with and love. Ever since DC Comics went down the The New 52 journey in 2011, several characters have gotten a new look like Supergirl, Superman, Harley Quinn, and Batman. Personally, I supported the costume refresh because Jim Lee helmed a bunch of them, more specifically the Justice League, adding his hard lines and artistic style in droves. I rarely comment about comic book industry matters on my personal FB page, but I gotta say, shoulder pads, especially big bulky metal ones NEVER look good on women. Everything about them is unfeminine and lacks style. No grace to this approach at all. Now, I’m a huge fan of J. Scott, like a little overly infatuated with him and his art. I do believe he does make some good points but at the end of the day, as long as Wonder Woman is still her badass self oozing Amazonian flair and the God of War tendencies, then I’ll be a happy comic reader. I had a discussion with my buddies and the overall consensus is a positive one with Finch’s interpretation. It reminds me a little of the X-Men: Evolution cartoon but the addition of more armor is a welcomed one. The opinions that “shoulder pads” are not feminine is a valid point. Armor tends not to be overly feminine and when you think about the functionality of it all, shouldn’t it protect more than look good? I mean, this is all talk over a fictional character so how crazy are we fans going to get? The other point J. Scott makes is the fact that she is covered from neck to toe. I don’t think Finch is trying to cover her up, persé. But I understand his approach. These are my assumptions, of course, but maybe he was tasked to go a different direction from the iconic look. It’s his own spin on Wonder Woman. And as fans we can love it or hate it. From my group of friends, we all like the new perspective. 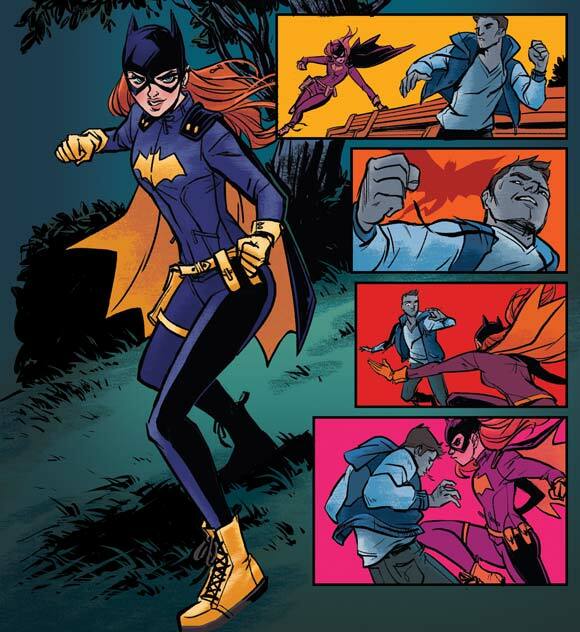 I highly supported the new Batgirl costume when Babs Tarr and Cameron Stewart came on the book. And though I’m not a fan of the wrist blades or could do without the tights, I think it’s still a very solid look. I know the Internet is blowing up in support of J. Scott’s opinions, as well as other artists voicing their 2 cents. J. Scott even drew out what he would have done. That’s awesome. You can check it out here. More people talking about comics is a good thing. But Finch is drawing Wonder Woman, not J. Scott. His art will still be sought after like it always is, but DC Comics gave Finch the keys for a reason; they trust he can do a good job. The question becomes will you? 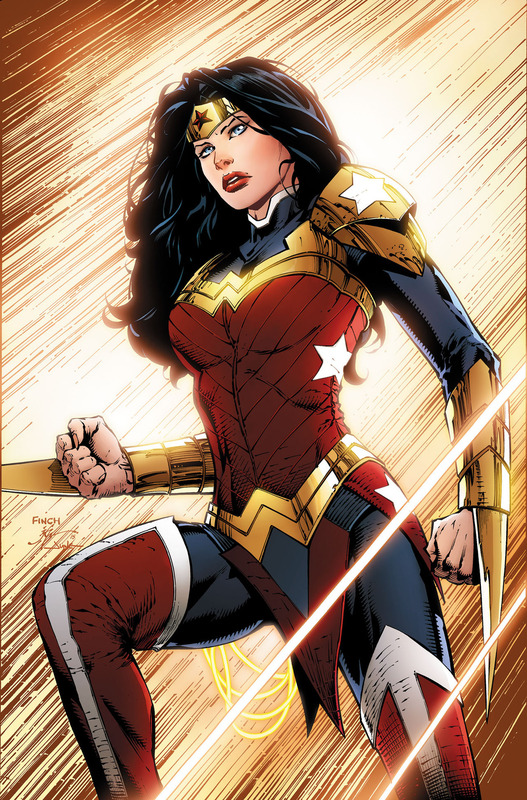 Check out Wonder Woman #41 when it releases in June and let me know what you think of Wonder Woman’s new costume? I’m amazed how one teaser image and a few artist’s Facebook posts and tweets can raise such an uproar on the Internet. The comic isn’t even released yet! I’m reserving judgment until I have Finch’s floppy in my hands but it’s safe to say that the buzz surrounding this floppy is pretty high. And hopefully it generates more interest in it and ultimately Finch’s run on this book. So let your local comic shops know to add it to your pull list and we’ll see how the comic community will react in June.